I'd guess that Keith Jarrett and Vijay Iyer are not huge fans of each other. Working within a variety of modes, but primarily within the piano-bass-drums arrangement, they come up with very different results. When Jarrett is experimental, it's usually in his solo playing. Otherwise, he mostly stays safe inside bebop. 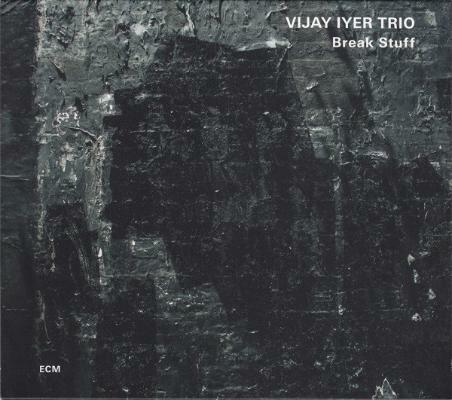 But Iyer is always experimental, and always interesting: the term 'jazz' fits rather badly what he's doing with African American improvised music tradition. And where Jarrett is crotchety, Iyer is deeply kind and inclusive, in music and in life. I can't claim any neutrality when it comes to Iyer's work in general or this album in particular. He's a friend, and Break Stuff contains a number of tracks written for a suite to accompany my novel Open City. But I suppose I could point to the objective accolades: he is a frequent victor in the annual jazz critics polls, a winner of the MacArthur 'Genius' Grant, a professor of music at Harvard University, a favourite of the most demanding audiences. Iyer's trio, with the bassist Stephan Crump and the drummer Marcus Gilmore, play with fearless skill and an intense, almost unbelievable, knowledge of what's happened in music and what can happen in it. Take 'Hood', from Break Stuff, for example. Its stuttering ostinato rhythms evoke the soundworld of the underground Detroit DJ Robert Hood. But, as with all of Iyer's work, it's easier to say what it's a little bit like than precisely what it is. 'Hood' makes me think of a universe of sound sources: techno, Jimi Hendrix, Thelonious Monk, Steve Reich (Drumming), Arvo Pärt, Andrew Hill, Steve Coleman. Iyer somehow packs this much musical history, without pedantry, into six minutes of music. It is an out-of-body experience. Then he does just as much, in a different way, on the next song. And just as much, in a different way, on the song after that. It's not the kind of music they play at nice restaurants. This is an album I take with me wherever I am in the world.